These freestanding Corrugated Cardboard letters, numbers and symbols are great to display on a shelf or table. 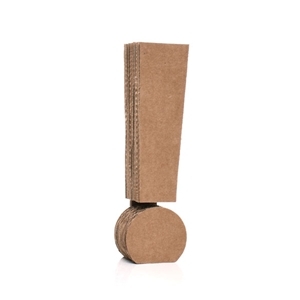 Each letter is layered with corrugated cardboard and made in the USA. Combine letters to spell out a name, brand or a saying to attract customers. The cardboard letters are lightweight, versatile and can be painted, covered in paper and embellished to match any décor or style.